This comprehensive article is related to attaining the lowest priced web design and hosting provider in various categories. Cheap Business Hosting: The coveted rank of most economical business hosting provider is Webhostingpad with prices starting as low as $ 1.99 per month. Its uptime recorded was a fair 99.83 %, and this company has hosted around 49,295 sites. Cheap Cloud Hosting: Also referred as on-demand hosting, the most inexpensive cloud hosting provided by A2hosting where prices start from a meager $ 15.00 monthly. Around 53,764 sites hosted and uptime noted for last week was an impressive 100%. Cheap Clustered Hosting: By distributing the website across multiple servers, the most low-cost providing company is Interserver. Though the company has just started out with hosted sites totaled to be around 6,616, it's uptime has been recorded 100% last week. The prices for clustered hosting start from $ 4.95. Cheap Colocation Hosting: Turnkeyinternet is the clear winner in this category with prices for collocation starting from $ 3 per month. Based on its entire hosted sites which were 9,791 and uptime for last week which was 100.00%, this company proves to be budget web hosting. Cheap Dedicated Server Hosting: This type of hosting is adequate for sites with very high traffic range on a daily basis. Hivelocity offers cheap web designing and web hosting options to the user with prices starting from $109.00 per month. Uptime last week was traced to 100% and its total hosted sites is 2972. Cheap Domain Registration: one of the essential tasks of building a website is to get the domain registered. Namecheap priced according to its name! It costs $ 9.58 on a yearly basis for getting the domain registered. Last week’s up time was 99.83 %, and its total hosted sites are 1339,584. Cheap E-Commerce Hosting: Such hosting pertains to advertising and selling products and services online. Webhosting pad is the cheapest e-commerce hosting provider among the rest with low pricing of $ 1.99 per month. Uptime for last week was 99.83%, and its total hosted sites tally is 49,295. Cheap Green Web Hosting: Involves hosting with the aid of eco-friendly energy sources. iPage is the clear winner in this category with good and cheap green web hosting costing for $ 1.99 per month. It was up time last week was 100%, and a total hosting tally is a whopping 129,539 sites. 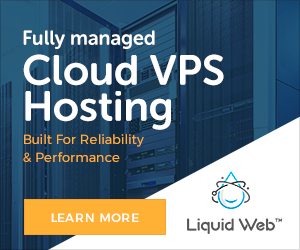 Cheap Managed Hosting: Where the hosting provider handles server maintenance and management, look no further than LeaseWeb and Hostnet. Both provide budget web hosting and cost around $ 1.09 per month. The former had 99.74% uptime and had hosted over 22,773 sites till date. The latter had 99.37 % uptime last week and had hosted 112,619 sites. Cheap SEO Hosting: for best SEO hosting experience Kvchosting is one of the cheap web hosting Its prices start from $ 1.89 per month. Its uptime for last week was 100.00 %, and it has hosted a total of 8,550 sites.